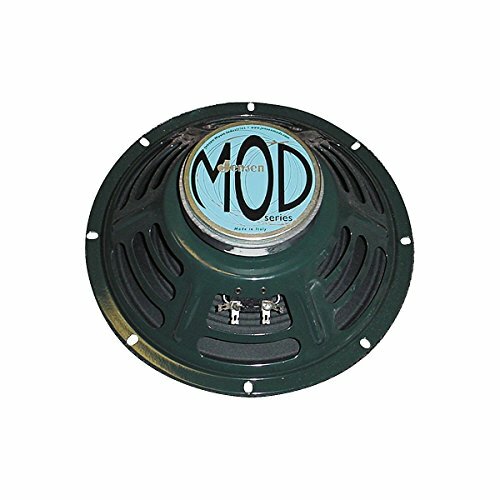 Jensen MOD12-50 50W 12'' Replacement Speaker 8 Ohm by Jensen at Worst Album Covers. MPN: P-A-MOD12-50-8. Hurry! Limited time offer. Offer valid only while supplies last. Load your amp or speaker cab with one of these and you may never need to replace them. 12'' guitar/bass speaker. 50W rated power, 100W musical power. Load your amp or speaker cab with one of these and you may never need to replace them. 12" guitar/bass speaker. 50W rated power, 100W musical power. Available 8 or 16 ohms.Jensen Mods are a series of Jensen musical instrument speakers developed to give a contemporary feel with a touch of the old British sound. The Jensen Mod Series speakers are designed for precision amplifiers which require a speaker that complements the signal without changing the signatures of the amp itself. This combination of transparent sound with a touch of English makes the Jensen Mods perfect for any amplifier.